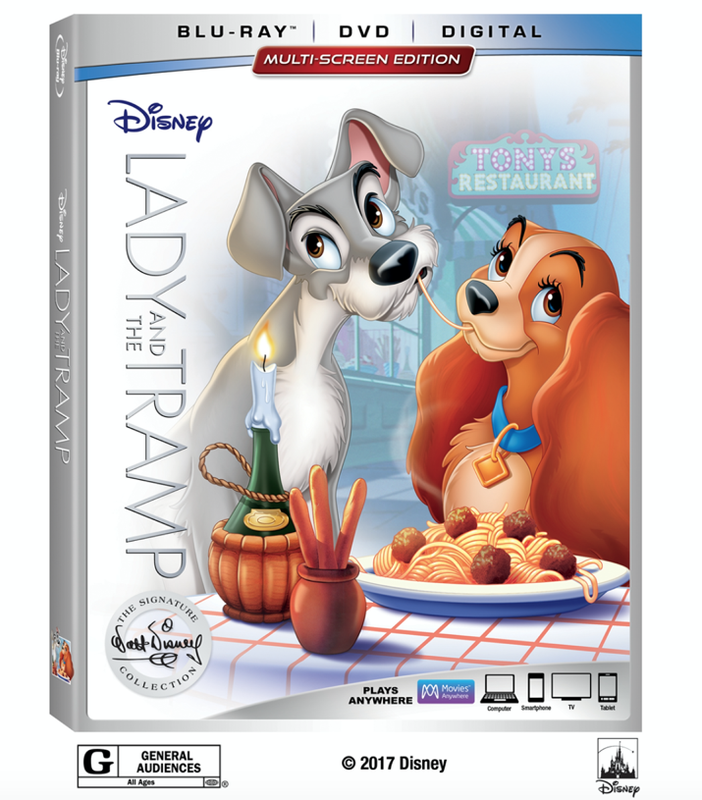 What better way to celebrate today’s National Spaghetti Day, then announcing this February, Disney’s cherished animated classic, “Lady and the Tramp,” will join the highly celebrated Walt Disney Signature Collection! As one of the greatest love stories ever told, “Lady and the Tramp” is sure to melt the hearts of generations with its beloved characters, brilliant animation, memorable music and sweet sentiment. Every member of the family will treasure this timeless tale—loaded with three versions of the film, classic bonus material and three all-new features—when it heads home on Digital and on Movies Anywhere Feb. 20 and on Blu-ray on Feb. 27! Disney's Lady and the Tramp holds its audience captive no matter what their ages. I loved this film as a child and loved being able to experience it again with my own children. 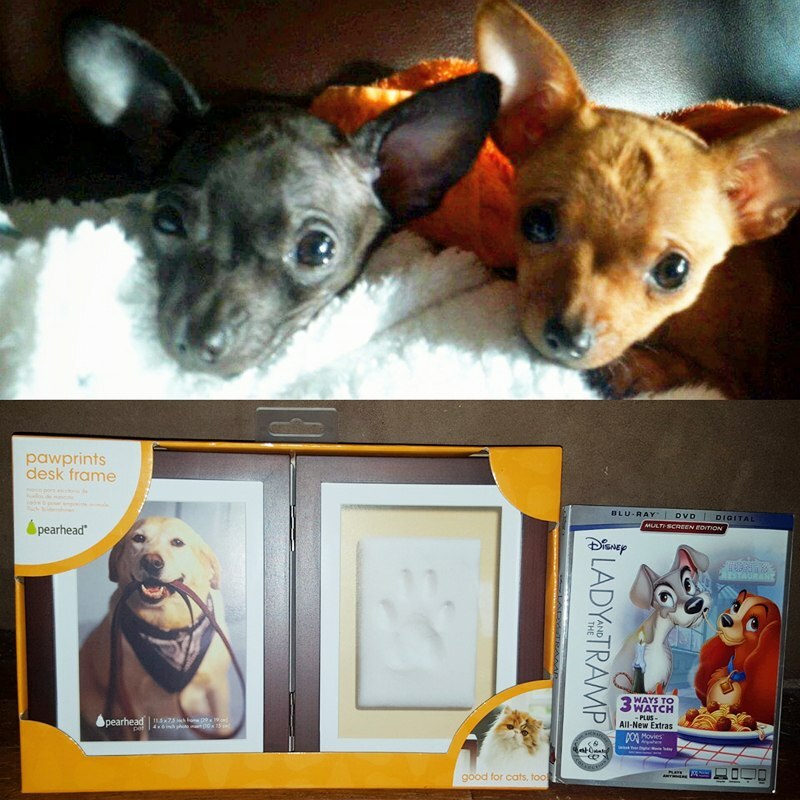 Our family was absolutely thrilled to receive and advanced copy along with this cute pawprint desk frame for each of our pups. In my opinion, every element of this glorious film, from the layouts to the vocals, is spot on perfection and everything that is the magic of Disney. If you have a love of Disney animation like our family, or perhaps you are looking for a fun, wholesome experience that everybody in the family can enjoy, this DVD is an absolute must-have to add to your Disney collection. Activities include a word search, coloring page, connect the dots, a printable cut out and more! BURBANK, Calif. (Jan. 4, 2018) — This February, Disney’s cherished animated classic, “Lady and the Tramp,” joins the highly celebrated Walt Disney Signature Collection. Every member of the family will treasure this timeless tale—loaded with three versions of the film, classic bonus material and three all-new features—when it heads home on Digital and on Movie Anywhere Feb. 20 and on Blu-ray on Feb. 27.